Prominent figures in the network led by the Islamic Revolutionary Guards Corps (IRGC) have eulogized Saleh al Sammad, the Houthi (Ansar Allah) movement’s political leader, who was slain in an April 19 airstrike launched by Saudi Arabia in the Yemeni city of Hudaydah. The Houthi insurgent group announced al Sammad’s death on Monday. Saudi officials later confirmed the targeted strike. Shortly after the announcement, Iran’s Foreign Ministry released a statement condemning the killing of Sammad. 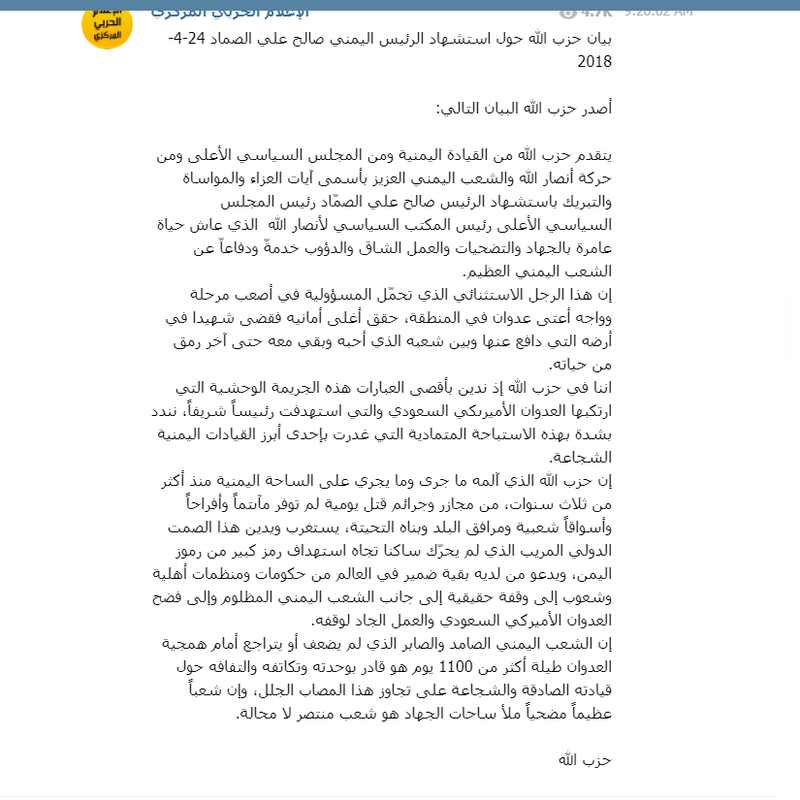 Ali Shamkhani, the secretary of Iran’s Supreme National Security Council, released a statement of his own praising the life and work of al Sammad while also offering Iran’s condolences to Yemen and the Houthis. After the Iranian communications, members of the IRGC network then released their own, one by one. Sammad was a senior Houthi leader and the head of the Supreme Political Council, thus making him the acting president in Houthi-controlled areas of Yemen. The Houthi’s overall leader is Abdel Malek al Houthi and his movement is supported by Iran. However, the Houthis, also known as Ansar Allah, are not thought to be directly subordinate to Tehran like Lebanese Hezbollah or other proxies. Iran, and it’s proxy Lebanese Hezbollah, support the movement with weapons, training, and money. The IRGC’s strategy with the Houthis appears to be based around exploiting the war in Yemen with the goal, among others, of making the Houthis more dependent on Iran. Houthis propaganda output over the past year have expressed more pro-IRGC tendencies. For example, Abdel Malek al Houthi has twice spoken publicly of sending his forces to fight alongside Hezbollah and other Shia militias in the event of a new war with Israel. 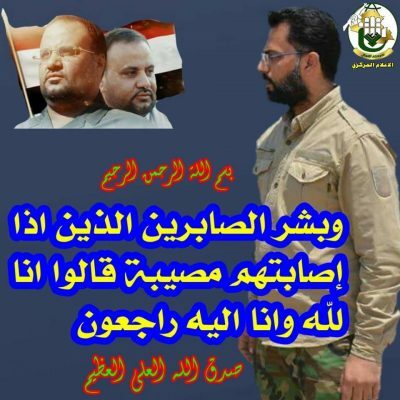 The eulogies and statements sent by other IRGC-linked figures and militias, as well as past expressions of solidarity with Yemen and the Houthis, also show the Houthi’s role in the proclaimed “axis of resistance.” The “axis” refers to a network of state and non-state actors led by Iran that operates against the United States and its allies in the Middle East and beyond.